Taking the family to one of Europe's greatest cities presents more chances for kid-friendly culture, recreation, shopping, and fine dining than most families dream of. Taking the family to one of Europe's greatest cities presents more chances for kid-friendly culture, recreation, shopping, and fine dining than most families dream of. Surprising Barcelona is filled with so many unusual sights and attractions that families often find it to be the highlight of a Europe tour with the kids. 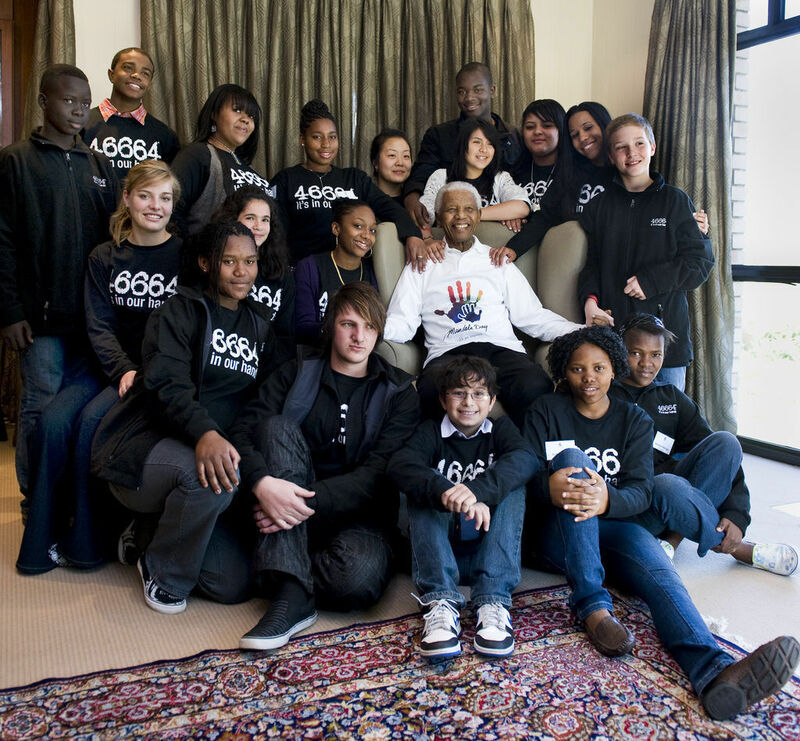 Young ones delight in the city’s exotic array of architectural monuments, teens adore the shopping and street life, and all ages will appreciate the fine cuisine and laid back lifestyle. Barcelona (or BCN) is the proud capital of Catalunya province, where the colorful Catalan language and culture set it apart from any other city in Spain. A temperate Mediterranean climate makes it a pleasant destination year round, though a chilly, damp winter spell and some summer scorchers are not unknown. The "Barcelona City Card" offers unlimited entry to several museums (though not our favorites), free public transportation, and discounts to many attractions; it starts at about US$35 for two days but may not be good value for those traveling with younger children. For more information about it and the city in general, visit the Barcelona Tourist Information website. 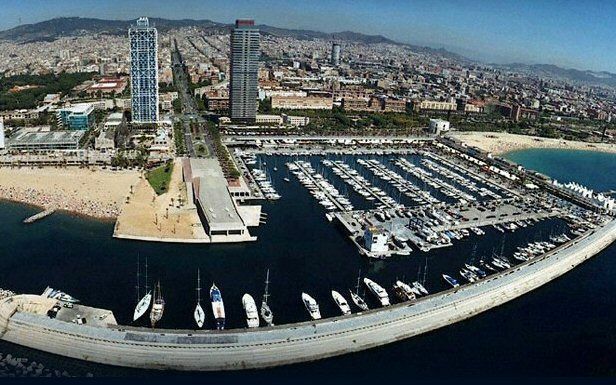 Those who knew Barcelona in the pre-Olympics days (prior to 1992) will be interested in seeing the city's extensive waterfront development known as Port Olímpic. Busiest from March to September when the city's climate is best for beach-going and sitting at oceanfront cafes, the Olympic area includes some major hotels (Hotel Arts is one of the best), a 700-berth marina, the Forum shopping and entertainment complex, Diagonal Mar shopping center with cushy nurseries for shopping moms, the attractive Parc Diagonal Mar (ideal with a stroller), the Casino de Barcelona for gaming, and some wonderful public sculpture. Allow time to pause at one of the many beach bars for a cool drink and some tapas before playing at the beach. Cristoforo Colon departed from Barcelona on his voyage to the New World from a pier at the foot of Las Ramblas; he would not recognize the port of Barcelona today. 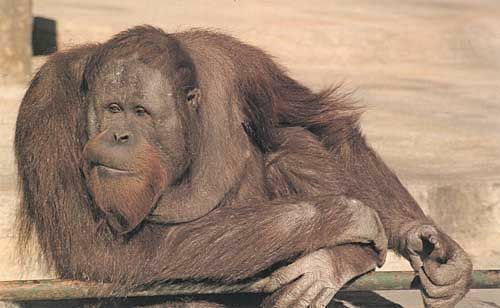 This is a large, full service zoo with exotic animals such as lions, camels, elephants and reptiles, plus a crowd favorite, Snowflake, an albino lowland gorilla. The mobility challenged can tour the zoo aboard a small train, and pony rides and dolphin shows give everyone brief opportunities to sit down. Hours vary according to season; check their website for multilingual guided tours and Catalan language workshops for children. This is a classic amusement park built high on a hill in the northern part of the city. 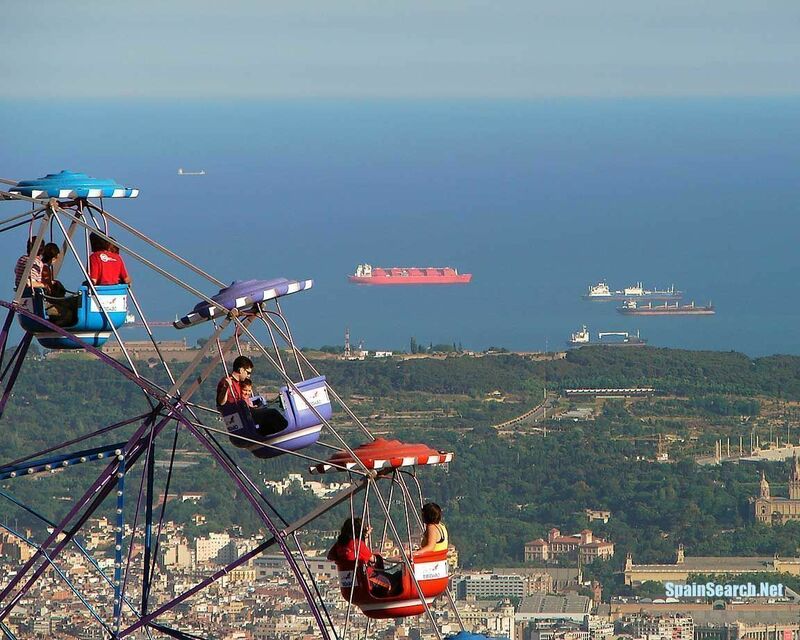 Founded in 1899, it offers panoramic views, puppet shows in Catalan, a variety of rides, a robot museum and more. The brave should check out El Pndo, a 38-meter-tall tower with four articulated arms that swing passengers in circles, delivering an estimated G force of 4. Open daily with extended hours on weekends; check before going for their seasonal operating times. The Barcelona Confectionary Guild runs this small, modern museum devoted to the study of chocolate. In addition to its uses and history, visitors can learn how chocolate is made into candy, or stay for baking workshops devoted to local recipes. Said to be suitable for all ages. Separating the 19th century city that grew beyond the medieval city walls and old Barcelona is this central plaza, a huge traffic circle lined with shops, a Corte Ingles department store, and sidewalk cafes that define the city center. It's the place for the main tourist office (underground), the beginning of Las Ramblas (a pedestrian walk leading to the port) and a cool place to hang out. The Miro Foundation and Centre for Contemporary Art Studies opened to the public in 1975 and has been a popular attraction for artists and cultural visitors. In addition to showcasing the famed Catalan artist, the contemporary white museum is considered a masterwork of the architect Josep Lluis Sert. Families with children will enjoy seeing Joan Miro's colorful large paintings and playful sculpture — especially the pieces out on terraces — together. Combine a visit with a walk through Montjuic, Barcelona's most prominent park. This hilltop park hosts the National Palace built for the 1929 World's Fair and remodeled into an art museum for the 1992 Olympics. The large Magic Fountain in front of the palace is a popular evening attraction in summer, and has light shows weekend evenings year round. Local families enjoy the Piscines Picornell, public swimming pools, where outdoor films are shown in summer. Getting there is fun, too. The Montjuic Funicular runs from the metro stop at Paral-lel in the city up to the park in less than 2 minutes. If you choose to continue on the Castillo Montjuic, board the red cable car opposite the funicular stop. Especially if traveling with teens, families may need to inject some of the familiar into a schedule packed with squiggly Gaudi architecture and Picasso paintings. This popular mall is a great place to do it, as the kids can check out a contemporary Euro food court, the Imax Port Vell theater (34/93 225 11 11) and the interactive, well-designed L'Aquarium de Barcelona (34/ 93 221 74 74). The city's Picasso Museum, housed in five connected palaces dating from the 13th to 15th centuries, is a wonderful stop for those interested in the famed Spanish artist Pablo Ruiz Picasso. Soon after moving to Barcelona in 1895, the Picasso family enrolled their artistic son in a local arts academy. More than 3,800 of his early works, largely completed before the artist settled in Paris, make up the permanent collection. The family's houses, Picasso's studios, the Llotja Painting Academy where he studied, the Quatre Gats bar, his friends' studios and other sites related to his life are found in the area around the present Ciutat Vella or Old City of the Gothic Quarter. Sports fans and soccer moms will want to visit Camp Nou, the famous soccer arena of the "Barca” team that sports blue and red stripes. The admission fee is pricey (kids under 6 years enter free) but worthwhile. 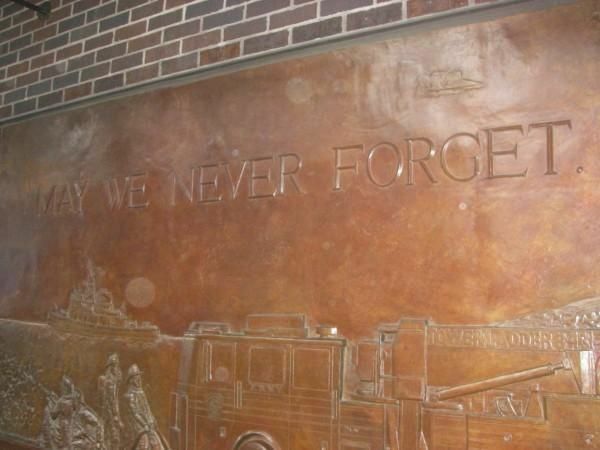 Visitors are welcome to explore the indoor arena and walk on the pitch; see the president's box, press area and locker rooms; shop in the huge and well stocked official merchandise store, and tour a small memorabilia museum. Those who don't realize the importance of futbol in Europe are in for a real treat, as everything related to Barcelona Kappa is enshrined in a manner befitting the Crown Jewels. Open daily. This enclave of narrow, winding cobblestone alleys that captures the mystique of Barcelona should be the family's first stop. Within the immaculately preserved heart of old Barcelona's Gothic Quarter are many major landmarks: Picasso Museum; Museu d'Història de la Ciutat (see remnants of ancient Roman era walls at the city history museum); the beautiful Cathedral Sant Jaume in the Plaça de Sant Jaume; Palau de la Generalitat (seat of the Catalan government); and City Hall among others. 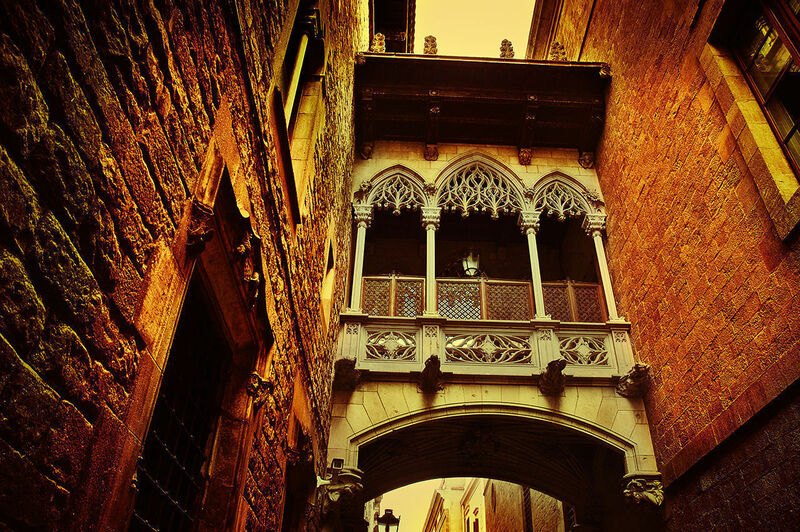 Check in at any of the official Barcelona Tourist Office locations to book a walking tour of the Gothic Quarter for a wonderful introduction. No one gets lost, kids can easily follow along with the fascinating stories of bohemian life in the district, and elements of stunning architecture are brought to your attention. This colorful pedestrian passage from the heart of the contemporary commercial city to the old port bisects several interesting neighborhoods, and is a good place to get to know Barcelona. It's always busy, especially around the Boqueria produce market and flower stalls, but in the cool and dusky light of late afternoon the crowd strolls with more purpose, pausing to admire the architecture of the classic Teatre del Liceu, the man selling songbirds, or the mimes and jugglers who ply their entertaining trade. The works of the Catalan architect Antoni Gaudi, all designated UNESCO World Heritage sites, are known around the world as remarkable examples of modernism. Born in 1852 in the province of Tarragona, Gaudi was a creative visionary who took the naturalistic elements of Art Nouveau far beyond his contemporaries by experimenting with structures and building materials. His fertile imagination turned wrought iron into dragons, skylights into flower petals, chimneys into molten candles and cement benches into fallen logs. 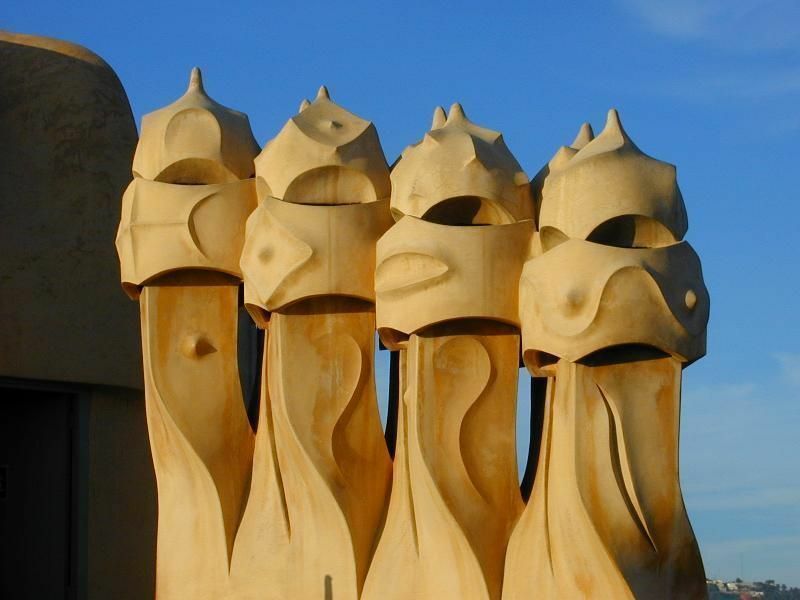 The Barcelona Tourist Office can provide a complete list of Gaudi monuments in the city, below are a few of the better known structures open for public view. If you follow the Passeig de Gracia from Plaça de Catalunya you'll be in the old village of Gracia, a planned residential community that dates back to the beginnings of the Modernism movement. Casa Batllo, ca. 1906, was built by the Catalan visionary Antoni Gaudi (1852–1926) and is a remarkable architectural achievement. Through private funding, the mezzanine floor, staircase, attic and rooftop of this pastel blue and white building have been opened to the public. Kids of any age will be intrigued by the self-guided visit to the former Batllo apartment, whose undulating walls, floral skylights, distinctive ceiling trim, imaginative windows and other curvilinear features delight the eye. La Pedrera, or Casa Mila as it's properly called, is nearby; families should not miss a visit to this unusually sculpted gray stone apartment building. Built between 1906 and 1910, it's considered Antoni Gaudi's masterpiece and was restored over more than a decade by the Caixa Catalunya bank. On a much larger scale than Casa Batllo, the undulating walls, waves of wrought iron outlining balconies and stairs, paving stones, playful benches and street lamps convey Gaudi's completely fantastical vision. There is a fun shop packed with unusual toys and books, and an attic that had been cut up into 13 apartments and is now fully restored to house a fascinating exhibition about Gaudi's work. It is, however, unlikely to interest kids, who will head straight out to the maze-like roof where curvilinear walls and chimneys are interspersed with wonderful skyline views. Begun in 1882 and supervised by Antoni Gaudi from 1883 until his death in 1926, the monumental Sacred Family cathedral remains unfinished to this day. The sheer scale of Gaudi's fluid, naturalistic elements has earned Sagrada Familia its place as one of the city's most famous landmarks. While thousands of visitors peer around scaffolding to admire eight of the 12 towers already built, or watch progress being made on the four belfries, transepts and nave, many families (like ours) prefer to view the building from afar and skip the huge crowds inspecting the construction zone. There is a small museum of drawings, plans and Gaudi memorabilia on site. Admission fees are donations that fund future work and include entry into the Gaudi Casa-Museu near Parc Guell (see below). Gaudi fans should make the brief walk from here up the car-free Avinguda Gaudi to the Hospital de la Santa Creu i Sant Pau, another of Barcelona's modernista buildings. Open daily with extended hours in summer and limited hours over the Christmas and New Year holidays. Visitors of any age will delight in Parc Guell, a planned residential community commissioned by Gaudi's top patron, the Count Eusebi Guell. Built on a hillside north of the city center, it failed as a real estate venture but has prospered as a public green space since 1923. 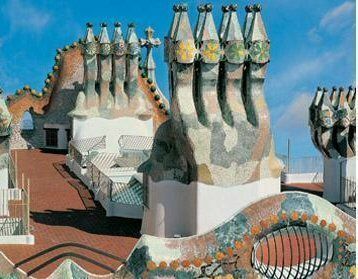 Weaving walkways, overhanging stalactite forms and undulating benches, decorated with Gaudi's signature mosaics of broken tile forming abstract flowers and animal shapes, are well worth a look, even if no one in the family has to run off some energy. The park's central plaza attracts buskers and entertainers, as well as craftsmen selling their wares. At the eastern side of the park is the pink stucco home Gaudi occupied for many years, now the Gaudi Casa-Museu, a museum filled with memorabilia and architectural elements designed for various projects. http://www.travelinformationbarcelona.com was a helpful source and also you can try http://www.apartime.com if you plan to stay in an apartment. If you are going with your family it seems to be worth considering to rent an apartment. The prices are cost competitive with the hotels and there are some special offers. 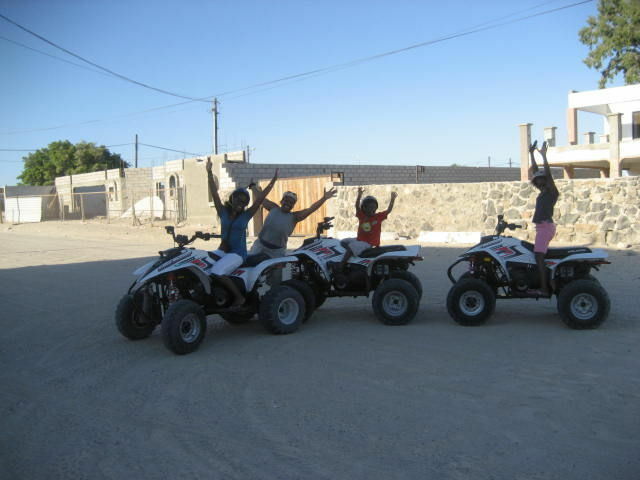 In the site also there is information about the city, landmarks, nightlife and some tips. Barcelona seems to be a nice destination to visit! This is such a true indicator of Barcelona and Spain in general. For the family vacation or longer term family travels Barcelona is just brilliant. The Spanish adore their children and have such a fabulous fun filled approach to sharing their enthusiasm that young visitors are thrilled and enchanted by the City and the country in general.